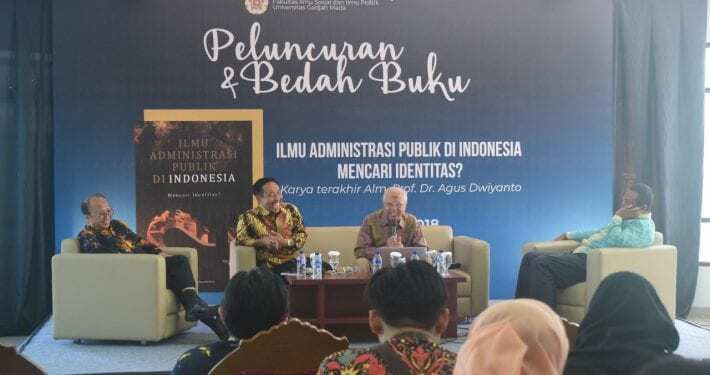 The last book written by Prof. Dr. Agus Dwiyanto (alm), Ilmu Administrasi Publik di Indonesia: Mencari Identitas?” (Public Administration Science in Indonesia: In search of Identity), was launched and reviewed on May 4th 2018.  Started at 09.00, this event was placed on the Fisipol’s Convention Hall. 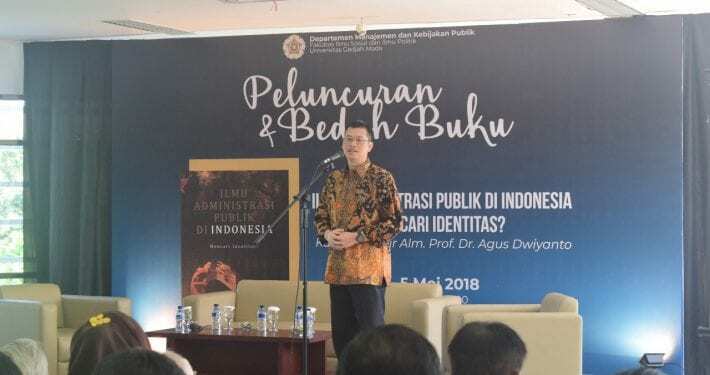 The event was opened by the Dean of FISIPOL UGM, Dr. Erwan Agus Purwanto. Several people were also invited to give testimonial speech for Prof. Dr. Agus Dwiyanto (alm). 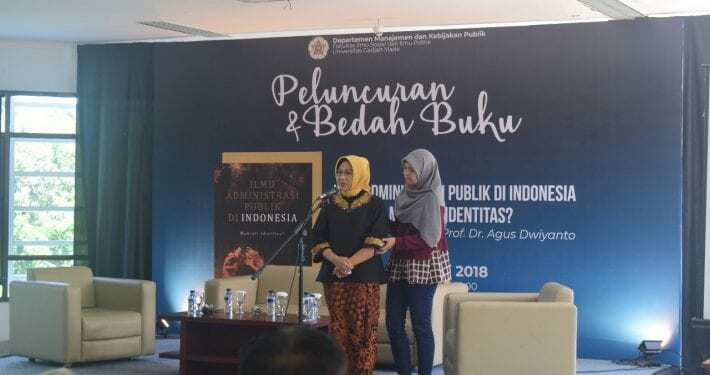 The first speech was given by his wife, Bekti Supratiwi. We also invited his colleague from LAN dan GIZ which were Ir, Faizal Adriansyah, M.Si and Hartian Silawati respectively. Marcel Denny (a lecturer of Unpar Bandung) as his student in MAP UGM also delivered a speech. The last speech was delivered by his assistant Puguh Prasetya Utomo, S.IP, M.Si and Wulan Tri Astuti, S.S., M.A. 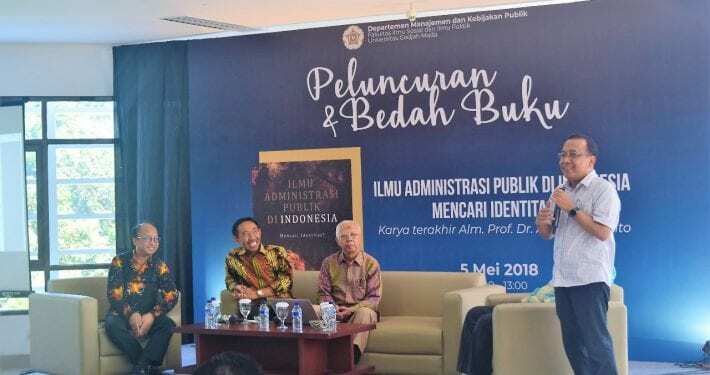 Subsequently, Prof Dr. Agus Pramusinto called some people to review and discuss the book. 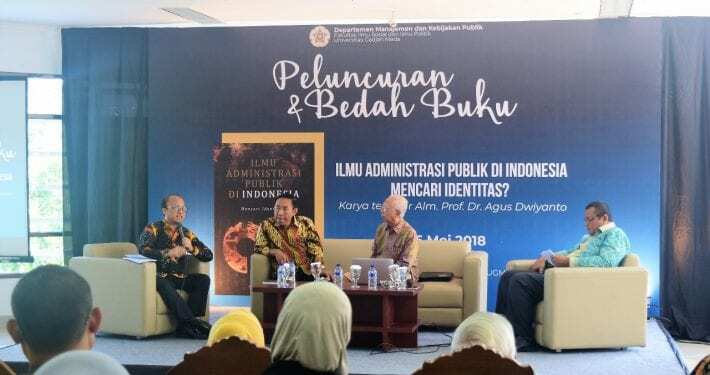 The discussant were Dr. Adi Suryanto, M.Si (Head of LAN RI), Anwar Sanusi, Ph.D. (Secretary General of Kemendesa PDTT, and Prof. Dr. Miftah Thoha (Professor at The DPPM). As the discussion session was finished, the moderator closed this session.